Whew, what a fun weekend! As soon as the clock hit 4:30 Friday evening, Jon and I were headed to Summersville, our headquarters for our mountain adventure weekend. We always try to schedule at least one weekend trip in October to relax and experience autumn and this year was no different. 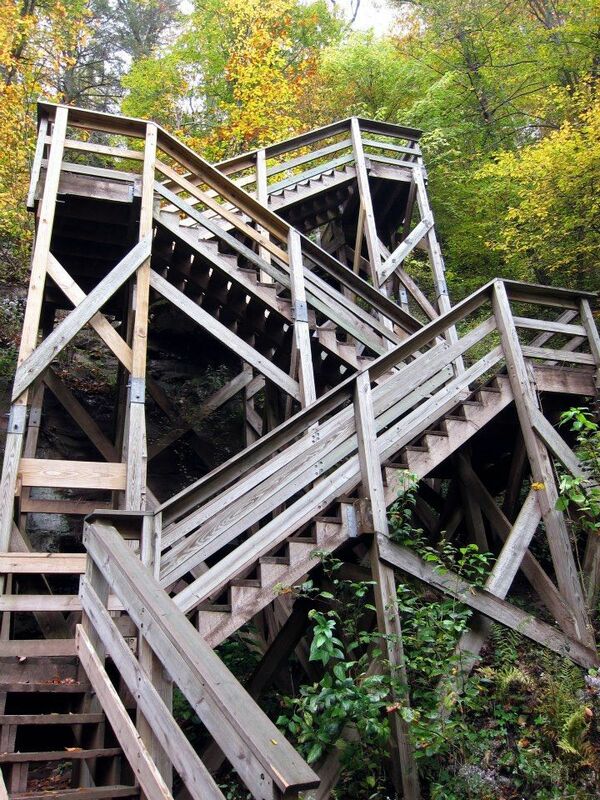 For 2013, our getaway featured a ride on the Durbin Rocket, a morning stroll under the New River Gorge Bridge, and a strenuous hike to a hidden gem in the New River Gorge. I’m super excited to share our trip with you but since there’s so much to tell, I’m going to do it in pieces. Today, you get a little piece of the Durbin Rocket. Two weeks ago, I was browsing Facebook when the Pocahontas County CVB posted a contest: whoever answered the following question first with the correct answer would win a gift certificate to the Durbin Rocket. The question asked what was the former name of the small town of Dunmore and after Googling my little heart out, I found the answer: Dunmore used to be named Matthewsville, Virginia. I quickly typed in my answer and shortly after, was named the winner of the contest. Pocahontas County CVB mailed me my gift certificate and I quickly scheduled a trip on the Durbin Rocket for this past weekend. 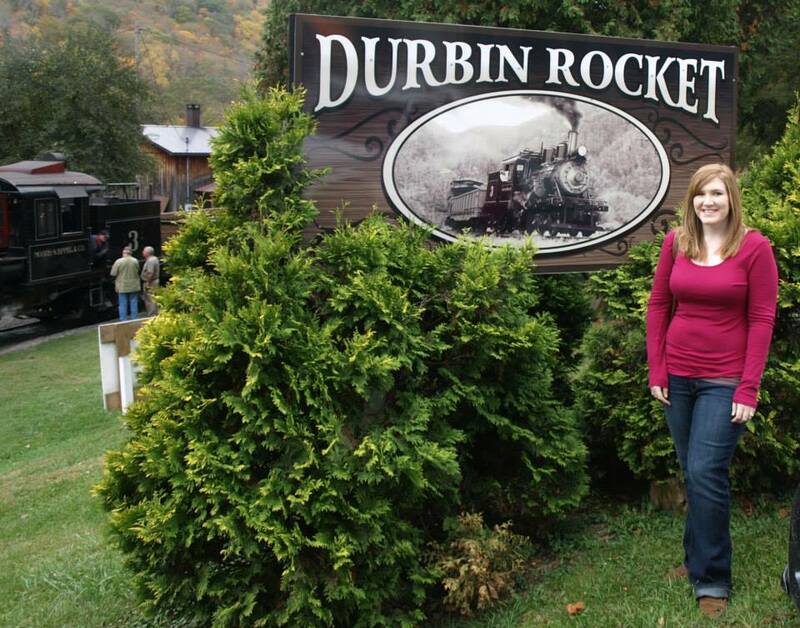 While we are no strangers to Cass Scenic Railroad, neither Jon nor myself had ever been on the Durbin Rocket or any of the other scenic trains offered by the Durbin and Greenbrier Valley Railroad. I wasn’t quite sure what to expect but I was definitely excited to visit. We booked the 2:30pm train and since travel time from Summersville is lengthy (approximately 2.5 hours), we decided to make a full day out of it. We left the cabin around 10:30am in the morning and opted to take the scenic route through Richwood, Marlinton, and Green Bank instead of the interstate through Elkins. 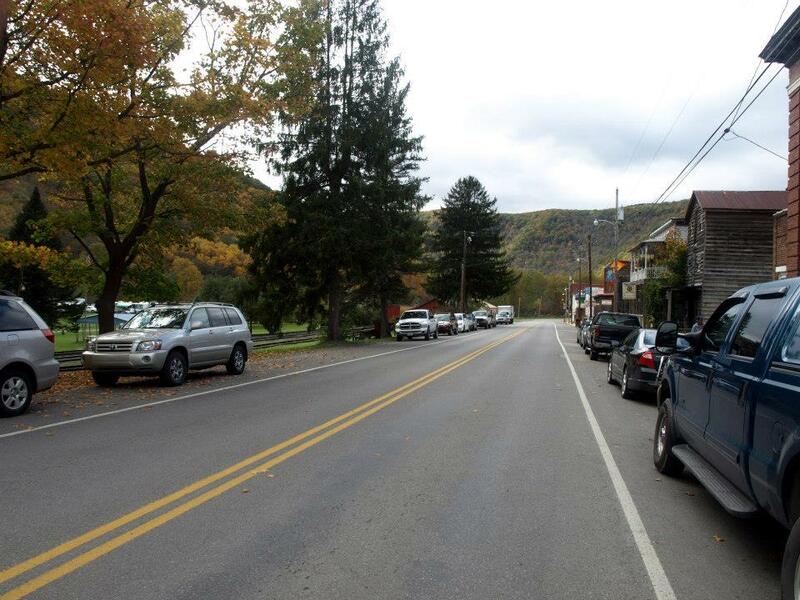 We stopped for lunch at the Greenbrier Grille and Lodge in Marlinton (yummy sandwiches!) and made it to Durbin at the tip top of Pocahontas County around 1:30pm. After checking in at the Rail & Trail Store and a quick stroll around town, we were boarding the train and were on our way. 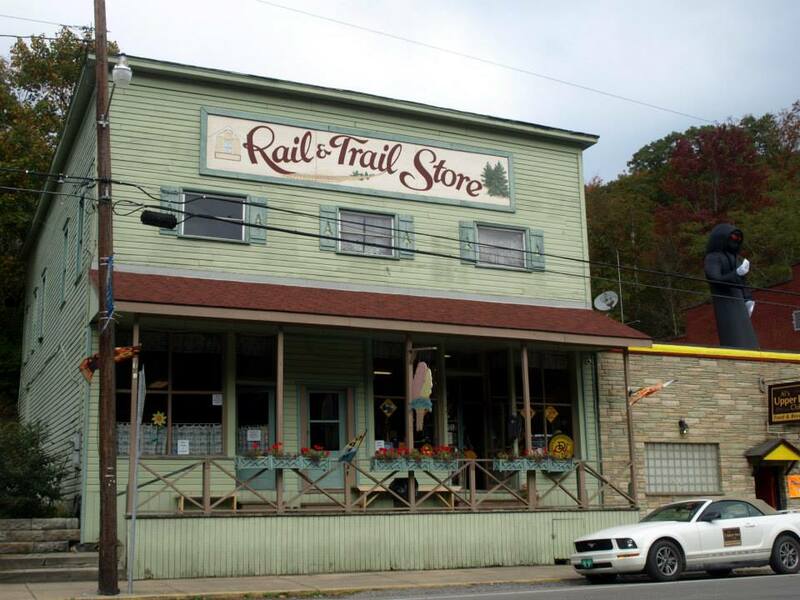 The Rail & Trail Store is across from the Depot and is where you can purchase tickets and souvenirs. They also have ice cream! There’s not much in Durbin aside from the depot. It is a charming little town though and it’s worth taking the time to walk around. The Durbin Rocket takes guests along the Greenbrier River and through farm lands and valleys for a 10-mile round trip ride. At the halfway point, the train will sometimes detach one or two cabooses which guests have rented to stay overnight (called the Castaway Caboose; for our trip, there were two cabooses that were detached with a large family camping overnight). Then, the train will take a short 15 – 20 minute break along the river at which point guests can walk around, eat a snack, and use the restroom. The entire trip took two hours; we were back at the depot by 4:30pm. 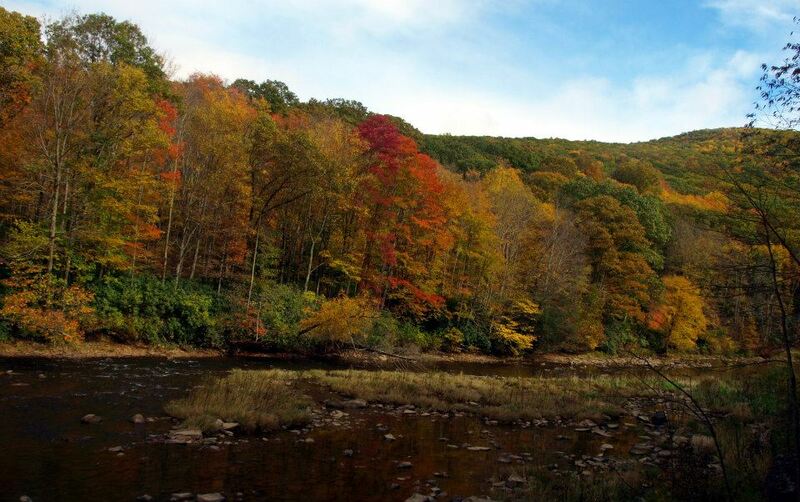 Colors were gorgeous along the Greenbrier River! Yours truly with the sign! The Durbin Rocket is composed of a variety of train cars, like this one which used to carry mail. There are many differences between the Durbin Rocket and Cass but the main thing to remember is that unlike Cass, the Durbin Rocket does not ascend up the mountain. However, the views along the river are still beautiful and the fall folors were indescribable — they were so magestic against the water! The Durbin Rocket has been on my to-do list for a while and I’m thankful that we were able to take the plunge and go. Our trip was very enjoyable, we had perfect weather, and everyone we spoke to was incredibly kind. 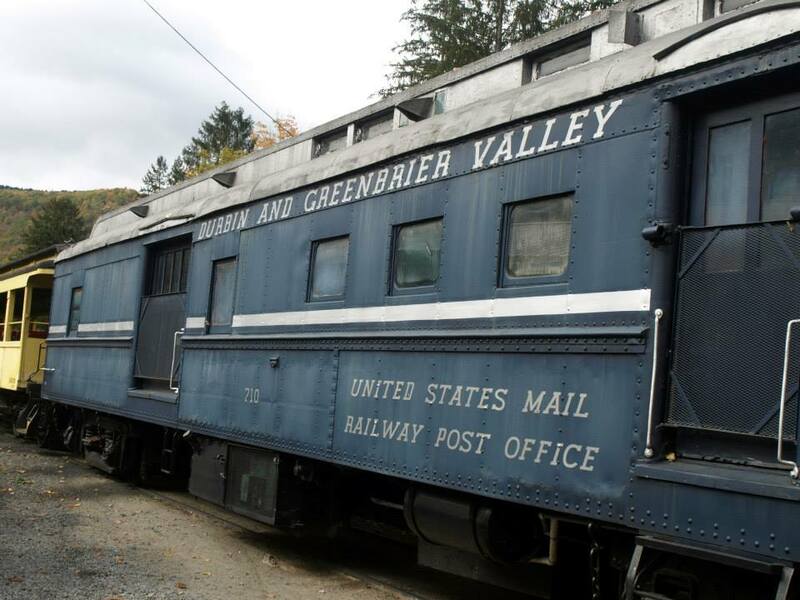 The Dubrin and Greenbrier Valley Railroad operates four regular trains (Cheat Mountain Salamander, Durbin Rocket, Mountain Explorer Dinner Train, and the New Tygart Flyer) and many specialty trains throughout the year (The Polar Express, Murder Mystery Dinner, etc.). All but the Durbin Rocket depart out of the Elkins Depot; the Durbin Rocket departs out of Durbin. 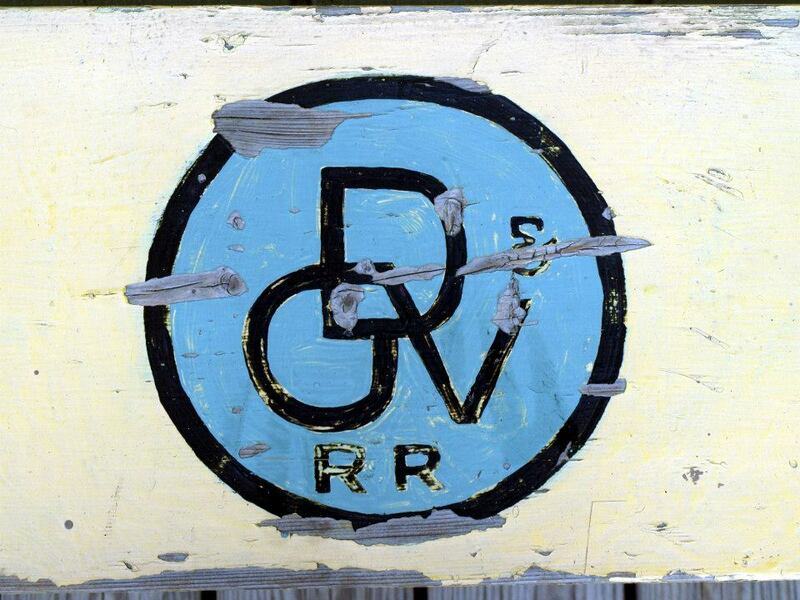 For more information on the Durbin and Greenbrier Valley Railroad, visit their website at http://mountainrailwv.com/. On a side note, I am sure that most of you are aware by now of the tragic accident involving the Cheat Mountain Salamander on Friday, October 11, 2013. 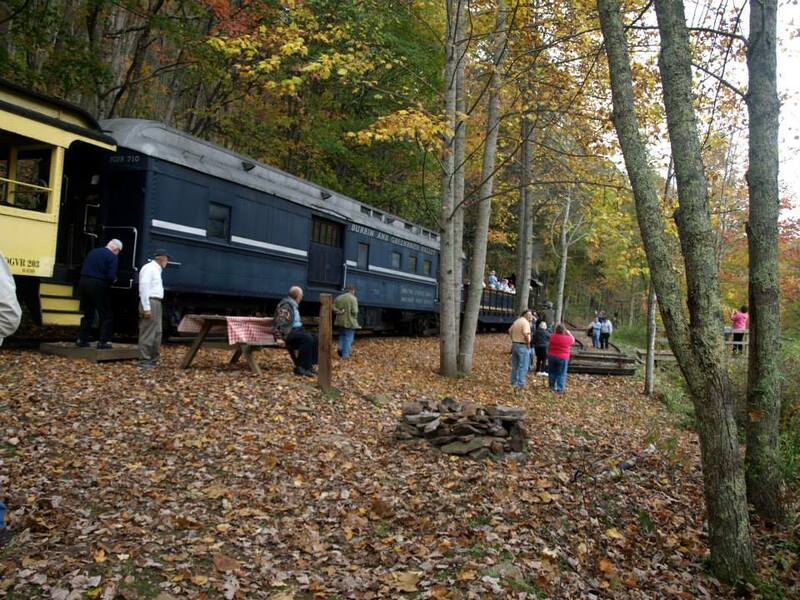 Also owned by the Durbin and Greenbrier Valley Railroad, the Salamander departs from the Elkins Depot and takes guests on an all-day, 128-mile ride over Cheat Mountain with stops at the High Falls of the Cheat and the historic logging town of Spruce. While crossing Route 250 near Huttonsville, a log truck crashed into the train, causing a partial derailment and many injuries. 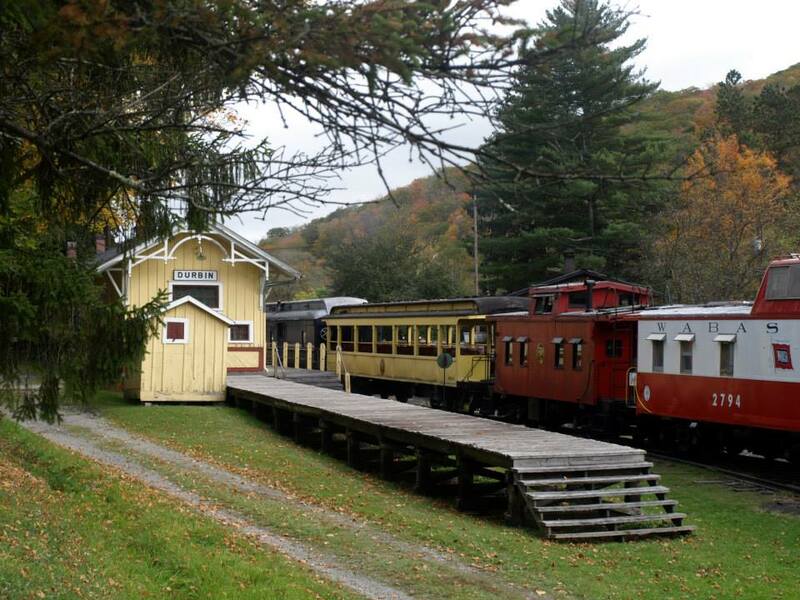 While all of the other trains operated by the Durbin and Greenbrier Valley Railroad are operating as scheduled, the Cheat Mountain Salamander will remain closed through the remaining 2013 season. My thoughts go out to all those involved in the accident and I wish for a speedy recovery for train passengers. My thoughts also go out to those involved in the recovery efforts and especially the family of the truck driver, who unfortunately passed away in the accident. 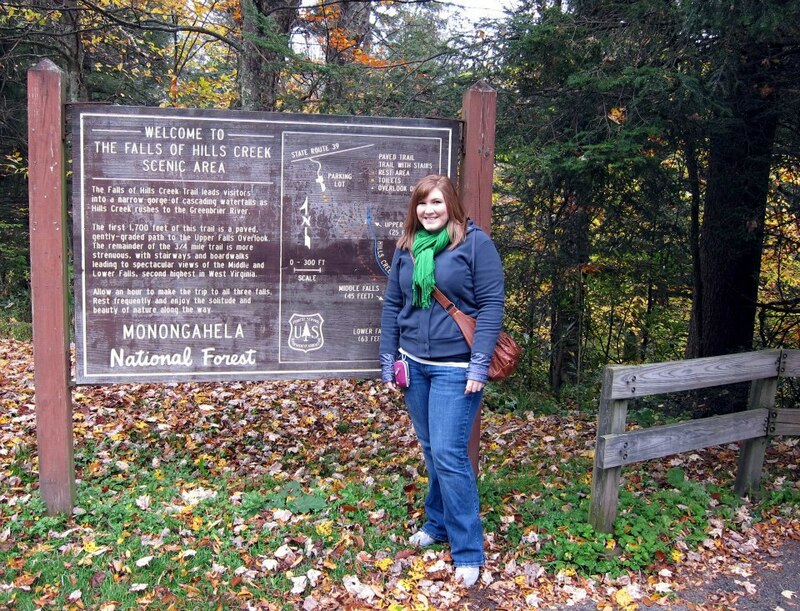 This time last year, I was gearing up for our annual trip to Pocahontas County to see autumn in all its glory. 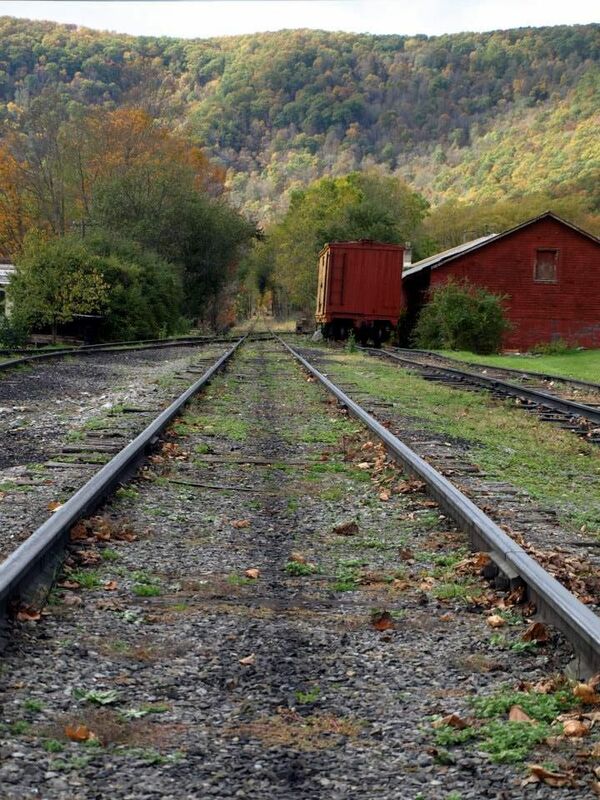 Our usual route beings at Summersville at our cabin and then we cross through Richwood, over Route 150 on the Highland Scenic Highway, stop for lunch at Cass Scenic Railroad State Park, and loop back through Marlinton. If we have extra time, a tour of the Green Bank Observatory is added to the list. This is a route I can drive with my eyes closed as it’s my go-to weekend drive and it’s always beautiful regardless what time of year you’re there. We do have a similar trip planned to Pocahontas County in October but it’s purely for hiking purposes — no scenic highway, no loop around Cass. 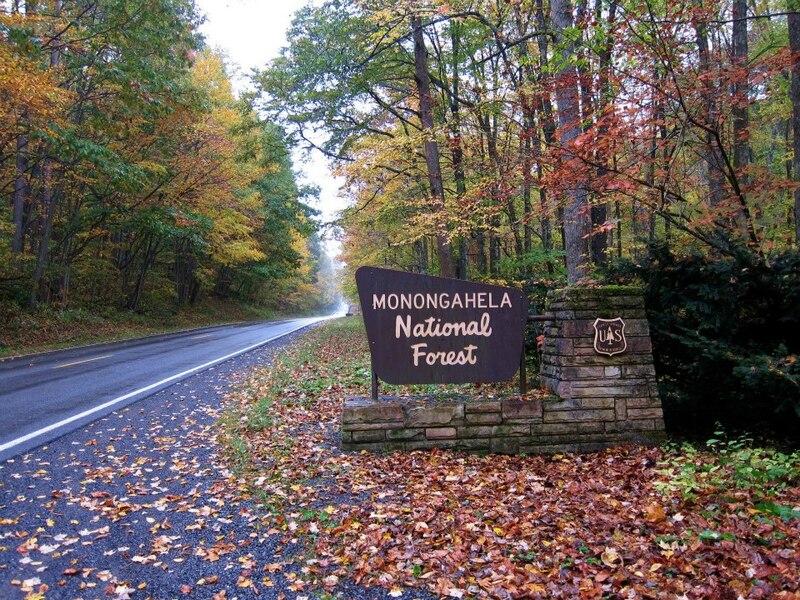 This time, we’re going to Watoga State Park in search of a specific shelter I visited when I was little. More on that in the coming weeks though. Today, I want to share with you one of the highlights from last year’s trip through Pocahontas: the Falls of Hills Creek. Prior to this visit, I had hiked to the falls twice but this was Jon’s first time visiting. The day we were there was chilly and foggy but man oh man, was the hike to and from gorgeous! 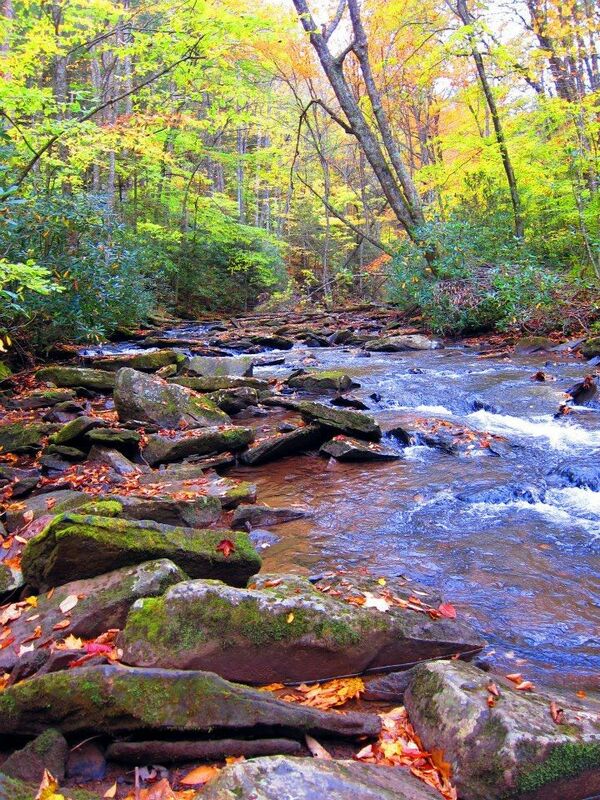 The Falls of Hills Creek are nestled in the Monongahela National Forest, easily accessible on Route 39 between Marlinton and Mill Point, five miles west of the Cranberry Mountain Nature Center. However if you blink, you’ll miss the turn-off, as it’s unmarked aside from a small brown National Parks Service sign that says “Scenic Area.” Once you turn on the road, there is a paved parking area at the trailhead followed by a 3/4-mile descent to access all three falls. The first waterfall, called Upper Falls, cascades 25 feet and is handicapped accessible via a paved walkway. But, the view isn’t spectacular. 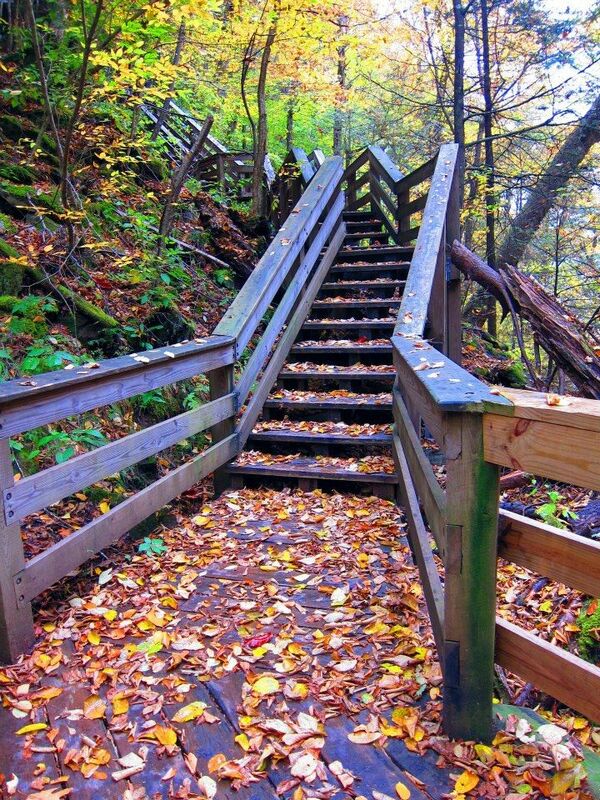 If you are able, continue down the boardwalk and paths to the Middle Falls (45 feet) and finally the Lower Falls. At 65 feet, the Lower Falls is a sight to be seen and it is also the third largest waterfall in West Virginia. 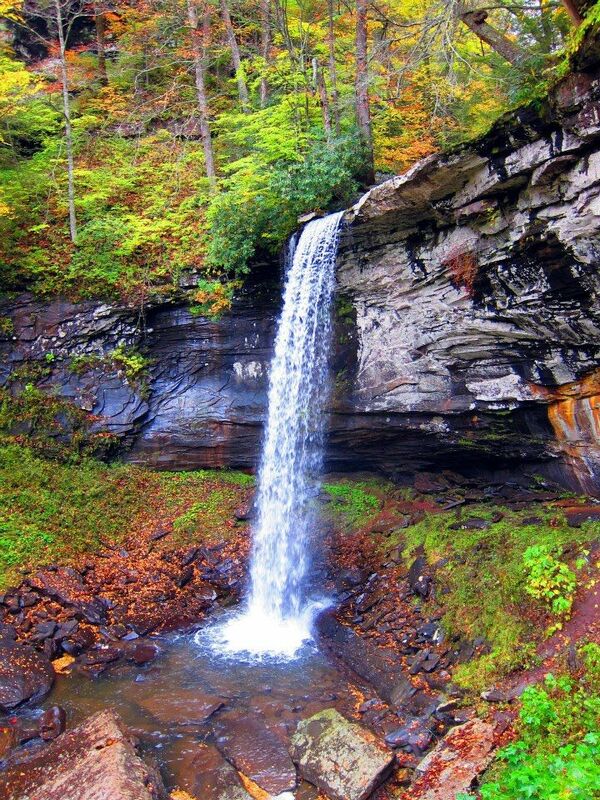 The Falls of Hills Creek are truly a hidden gem in West Virginia and once you see my photos below, you’ll understand why! Yours truly in front of the trailhead sign. The path to the Middle and Lower Falls follows the creek and in some cases, crosses it. 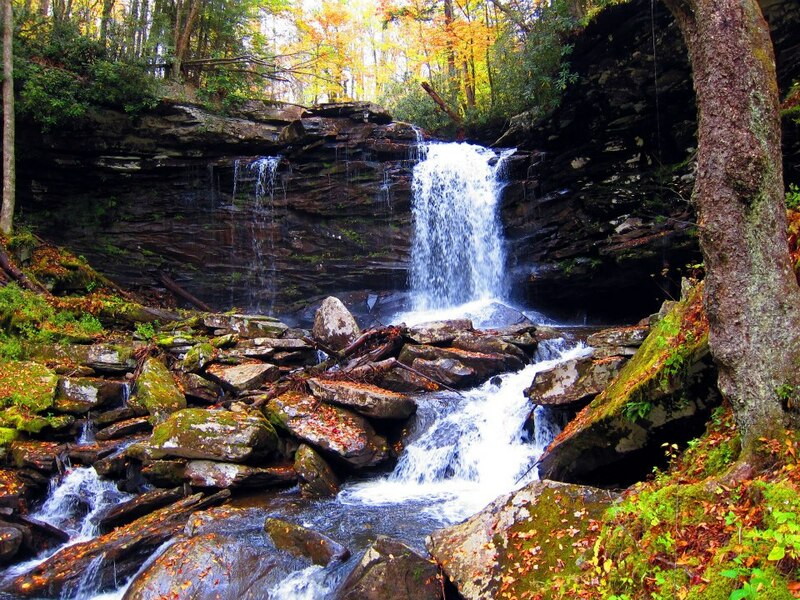 For more information on the Falls of Hills Creek, visit the Pocahontas County or National Parks Service websites.